GF Galbraith & Associates – We are a one-stop-shop for all of your tax and accounting needs in Melbourne. GF Galbraith & Associates Tax Agents and Accountants Melbourne are a ONE STOP SHOP for all of your tax and accounting needs. Offering quality advice with value for money, we do it all for you. Our Aim is to help grow your business, improve your cash flow, Wealth and Profits, Minimise the Tax you pay, advise on Asset protection, assist to become more efficient and any succession planning. G F Galbraith & Associates have been Tax Agents and Public Accountants for the past 50 years. We are a family business with 4 highly qualified CPA Accountants and tax advisers that have an excellent relationship with the ATO. 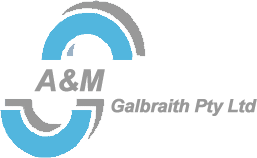 A & M Galbraith Pty Ltd have been Financial planners for 20 years and have 2 experienced planners that can give expert advice to help you plan for your future. Self Managed Super funds (SMSFs) are one of the fastest growing segments in the superannuation market. HAVE YOU DONE YOUR TAX YET?